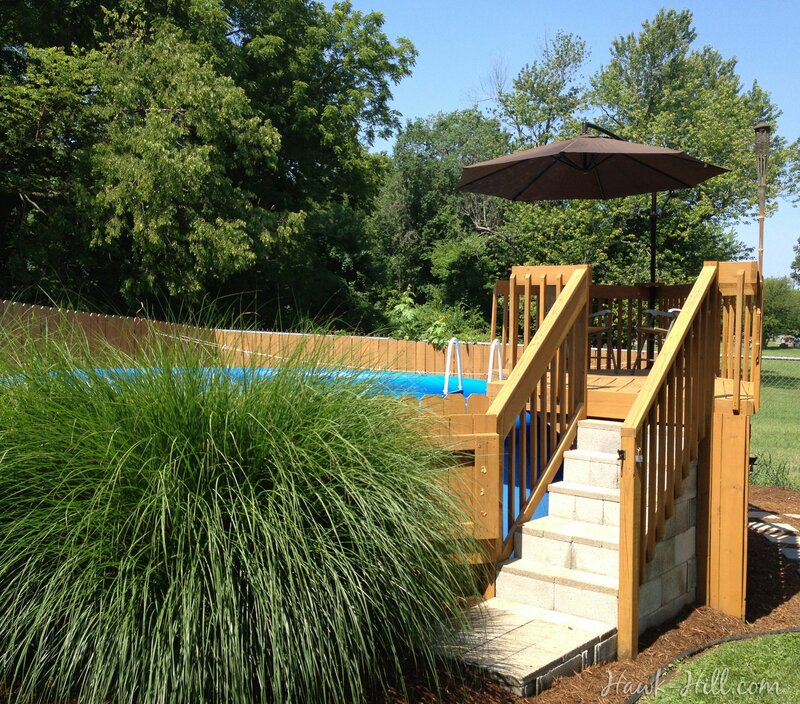 It’s cold in Missouri and as I sit here sipping tea and dreaming of summer, I thought I’d share a few photos I snapped during a garden tour in Springfield, Missouri last year. 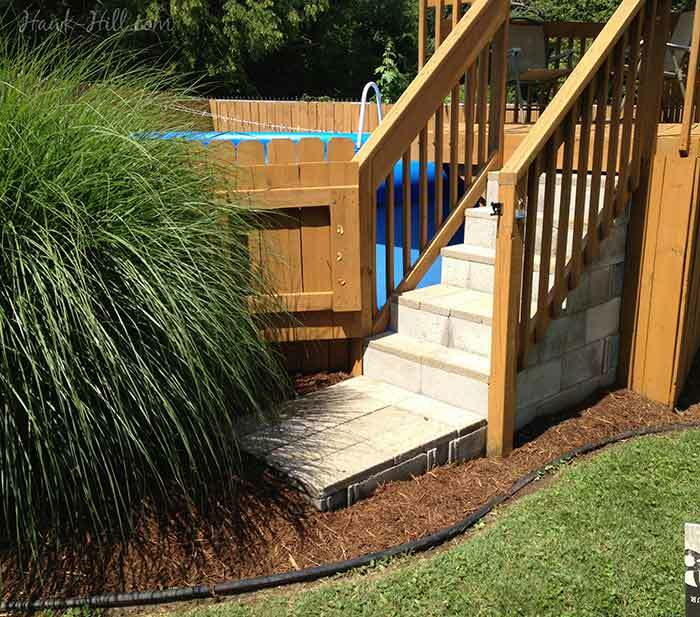 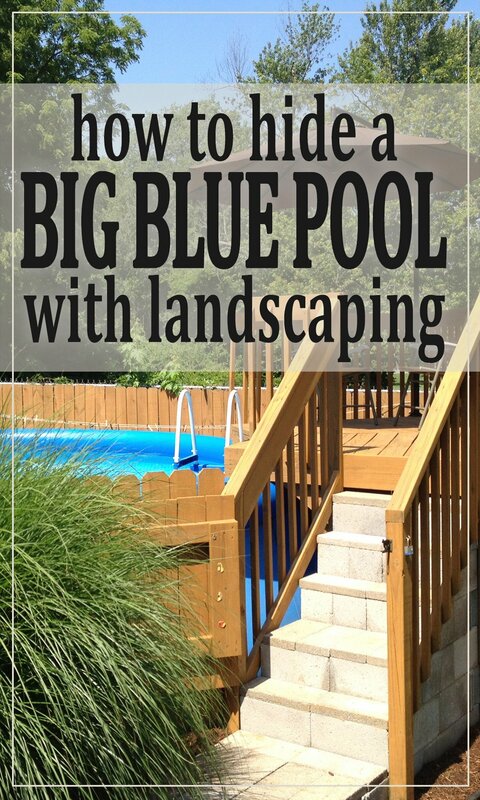 A small deck and fence conceal this easy-set style above ground pool. 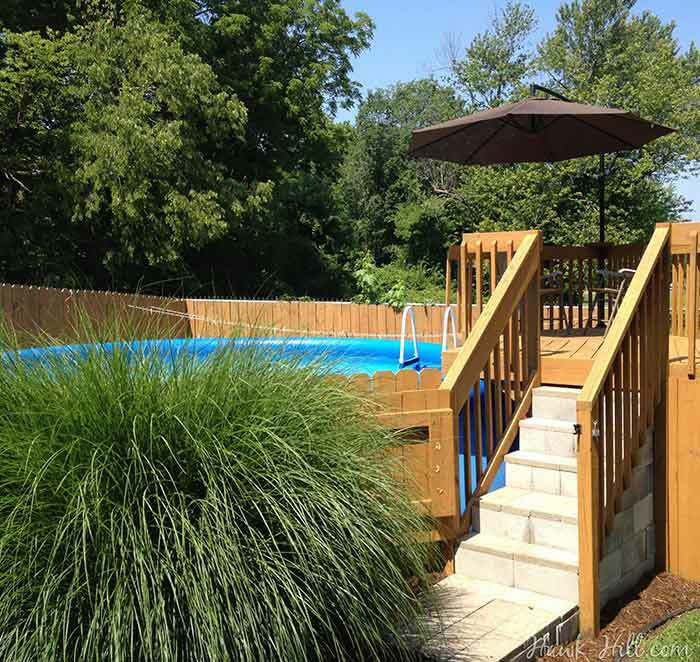 With dramatic ornamental grasses planted just outside the fence, the only hint of a pool from across the yard is an inviting sliver of cool blue rising above the fence. 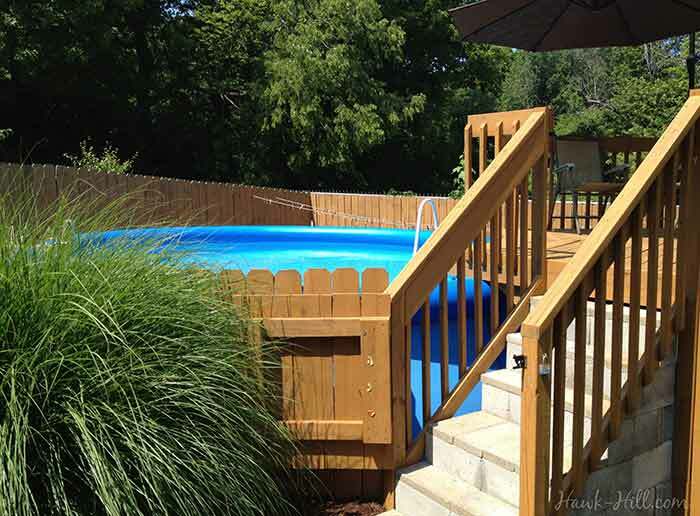 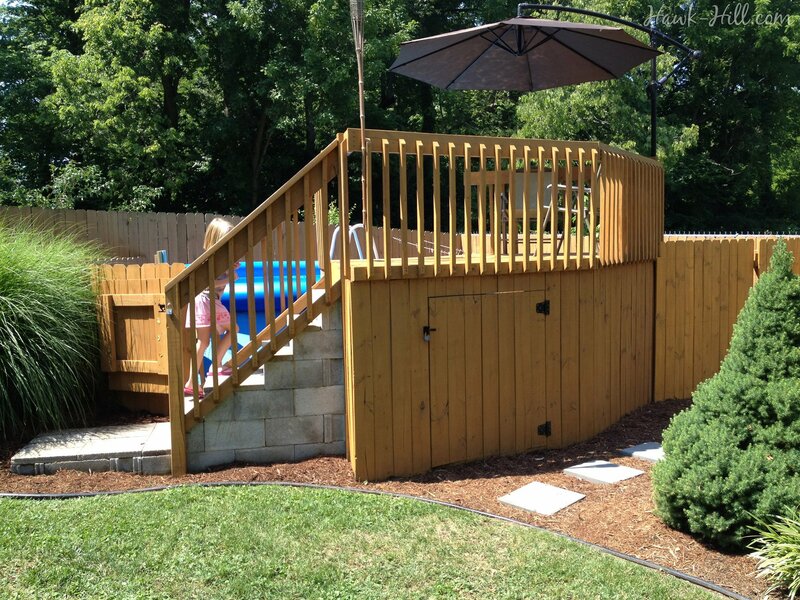 A raised deck with umbrella provides the perfect spot for parents to supervise swimming pool fun.